Bali is well-known for their spas and skincare treatments. Self-care is a respected, mindful process and you see it – people are glowing! In the name of research ;) I’ve indulged in a few spa treatments myself. I’ve looked into the ingredients, asked lots of questions and learned from local skincare makers. And what you’ll find is that many of the spas, even the more opulent ones, use homemade natural treatments instead of using branded products. And what’s fascinating – is that their beauty secrets come from ancient, traditional remedies! The same treatment that you might have at a luxurious resort here in Bali – has been performed for generations upon generations, for themselves at home – using plants, food, herbs and spices found in their own kitchen. One of their most beautifying treatments is called Lulur, created way back in the 17th century royal palaces. It’s a stunning way of making your skin soft and healthy and it’s our Bali Beauty Routine for this week! Our skin naturally sheds its outer layer every 28 days – but over time that process becomes slower – and what you get is a layer of dead skin-cells that creates a dull, rough appearance. This week, we’ll focus on gently exfoliating away that build-up and revealing the brighter skin underneath. Lulur is an exfoliating paste that is traditionally prepared for women about to marry. Whether she lives in the village or the palace – a bride to be is scrubbed everyday, for forty days by her women friends and family. These days modern brides perform the very same ritual, but for one week before their wedding – and many people will continue the practice for regular self-care. What you get is the softest skin – cleansed, detoxified and glowing like it’s brand new. This week, you’re taking ancient rituals and remedies and making it part of your Bali Beauty Routine. Turn your everyday shower into a ritual – you’ll feel pampered, special and so much self-love, you’ll be glowing! 1 cup rice flour gives your skin a gentle exfoliation while brightening and softening your skin. Rice is a well regarded Asian beauty remedy for its anti-aging properties. 2 Tbsp turmeric powder has powerful anti-imflammatory properties, that helps give you clear, smooth skin. Turmeric calms redness, irritation and promotes healing – great for acne prone skin or eczema. 2 Tbsp ginger powder promotes circulations in your skin. Ginger gets your blood flowing, it’s great for promoting circulation that creates healthy, glowing skin. Seal the blend of dry ingredients in an air-tight container. Everyday, pour a handful into a bowl and mix with yogurt or milk to form a paste. The lactic acids will help to slough away dead skincells and the natural fat will moisturise your skin. Go for full fat! Add a drop or two of ylang-ylang if you have it – it’s used in Lulur to activate the lymphatic system, to promote detoxifying and toning. Work this paste onto your skin, in a circular motion, scrubbing all around – and then allow it to sit on your skin for 10 minutes. Take these 10 minutes to yourself, don’t skimp! Wake up 10 minutes earlier, Play an audible, listen to music, meditate – set the timer and make that time for yourself happen this week. Wash the Lulur scrub off your skin with warm water and repeat everyday this week. Practice a daily ten-minute ritual to create the softest skin. 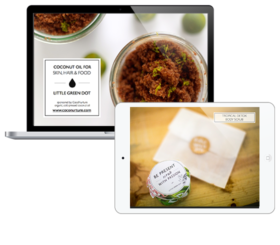 Make the Lulur recipe and use it to exfoliate your skin and bring out a glow. Reach out! Let us know in the comments below, do you have a natural remedy that is traditional to you and your family? Like mi lol militza said earlier, less is more. You might be over doing it. I’ve got light eczema and what I do is dry brush all over before I apply the paste. Then after showering it off, while still in the shower, I will rub down with organic jojoba oil. Grapeseed oil is even milder yet, and once you run it in, just rinse off one last time and pat dry with a towel. Make sure not to rub with the towel or face cloth because that will irritate your skin while it’s so freshly exfoliated. Hi Militza! What modifications (if any) would you make to this recipe for eczema skin? I’m currently having dry flaky eczema and also recovering from a sunburn so thought I’d give this a shot. Used only 1 tbsp ginger as was afraid it might overheat my skin too much. Mixed 3.5 tbsp of the mixture with less than 1 tbsp full cream milk to make a thick paste. No essential oils. I gave myself a pretty good scrub down. My skin felt pretty dry even after application of my Aloe Spritzer (Aloe + Almond oil + Lavender EO). Later that night it also got a bit irritated. I’ve read some other recipes and some recommend massaging with oil before application of the paste. What do you suggest? Thanks! How do you know if it’s cooling turmeric or not? And where to find non-cooking turmeric? Can this recipe be used on face and body? Thanks! Hi Allison! Ha – I hope you do come for a visit!! I haven’t personally heard of non-cooking turmeric. Traditionally in Bali they use the actual root plant, and dry it. You can find turmeric powder in supermarkets. Yes – you can use it all over, face and body. I think the biggest concern is staining your clothing, white towels! Use the mask at night, rinse your face with milk and extra yogurt – and even by the morning there will definitely not be a stain on your skin! Oh please, do not buy turmeric powder from supermarkets. Go to Little India, to any of the little shops and ask for turmeric powder. They will ask you if it’s for cooking, praying or for your beauty regime. Hi Adeline, thanks for the Little India tip! For anyone not living in Singapore, do use what’s available to you. The same turmeric powder that you eat, can be used on your skin. Have made face/body scrub with rice flour, turmeric and yogurt before.Good to know the benefits of ginger powder in this pack. Hi Nivedita – fantastic! It’s always fun to learn and try something new :) I used a lot of ginger in my body scrubs and bath soaks in the fall and I LOVE the warming feeling on the skin! Let us know if you give it a try! I’m curious to know if the turmeric would make your skin yellow over time (Speaking from a turmeric face mask experience!) Or does it come off once rinsed? @Lee, If you use turmeric that is especially for the face and not cooking turmeric, it should rinse off easily and also not make your skin yellow. It is also known as Kasturi Manjal. BTW gram flour is a good alternative to rice flour. Where do you find “face” turmeric? I’ve looking at natural foods stores in my area, but o no avail. They look at me like I’m crazy !! Can I order it online? Hi Lee! Use the mask at night and rinse it off with milk or extra plain yogurt to remove any of the color. I must say im really pleasantly surprised that my skin seem to like this one a lot! 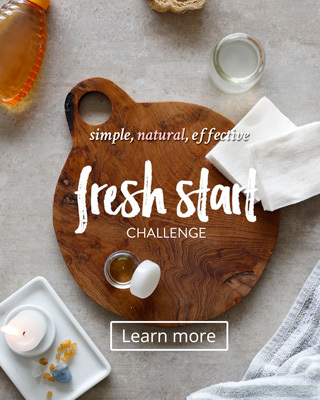 I have sensitive skin and even organic/natural DIY stuff it does not like… Do you think I can do this one on my face twice a day everyday or it’s too much? I’ve noticed this to be true with all products – if you use oil on your skin, just a little does the trick. The same with treatments for your hair, too much creates build-up. I believe in keeping it light and simple! Continue the mask all week, and then from there once a week will be help to maintain your skin! Thanks for sharing your experience with us! Actually like Marie suggest, if you use the non-cooking turmeric, you could use it every day without any problems. When I first learnt this recipe about a decade ago, I bought cooking turmeric powder. It was too strong for my sensitive skin. Then a friend took me to Little India and introduced me to facial turmeric powder! Who knew such a thing even existed! Since then I’ve been washing my face once-a-day with turmeric powder mixed with different combinations of water/rose water/yoghurt/milk/flour etc. While the turmeric you eat can be used on your skin, it tends to have a stronger, harsher effect and the yellow stains are a b* to clean! If you don’t live in Singapore, you can buy it from Asian grocery stores. I used to buy them from Chinese grocers when I lived abroad. Where can I get rice powder? If you can’t find it – you can grind rice in a really good blender or in a coffee grinder if you have it. Make sure the rice is ground finely so you don’t get any rough bits. I updated the recipe to read Rice Flour – thanks for your question!